Last spring while tooling around on Facebook, I came across a status in which Shannon Laffoon - mom to the ultimate Warrior, Wylder James - was tagged. 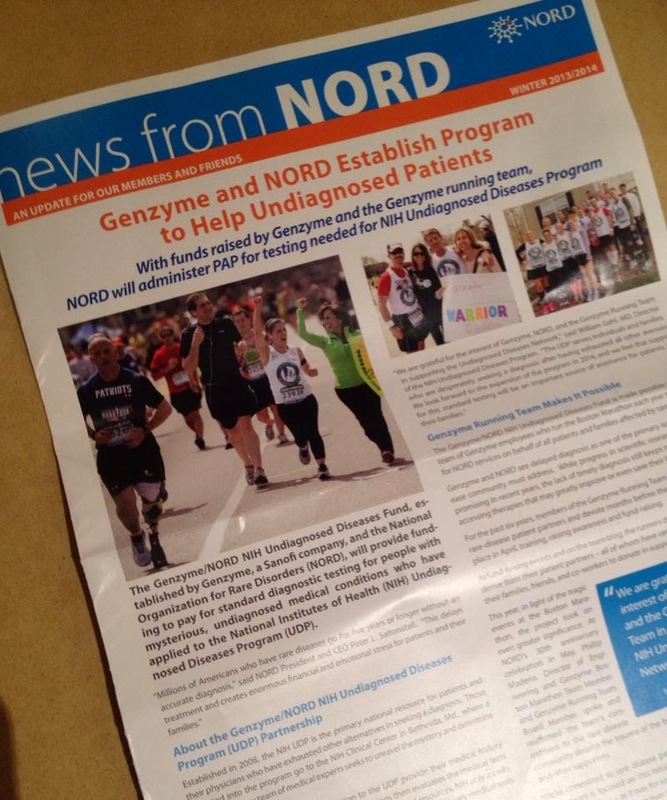 Shannon was in Boston to cheer on Philip Maderia and the Running for Rare Disease team from Genzyme as they ran the Boston Marathon. At the same dinner, according to the weird world that is Facebook, was another name that I recognized - Kailene Simon. Kai and I went to college together, and she had just friended me a few days prior to my discovery. Kai was also apparently part of the Running for Rare Diseases (RFRD) team. I couldn't handle the coincidences and responded, making the connection for everyone. Sometimes I'm very naive lol. Obviously, they had already figured it all out. We all know what happened next. Two cowards planted and exploded bombs. Lives were lost, others irrevocably changed. Thankfully all of the runners and patient partners of the RFRD team were safe, but they were certainly not unscathed. In spite of it all (or perhaps because of it),these same folks are doing it again. They are giving their all as they always have, but this time there's an edge to it. A determination that permeates the entire city of Boston - to come back together on Patriots' Day this April and run the marathon, this time safely and in its entirety. This year's marathon will also carry a special meaning for our family. Kai will again be running, and this time has declared "I Run For Quinn" (click the link to see Kai's beautiful blog post!). She has asked us to be the patient partner family in honor of Quinn, to raise awareness, support and funds for research on Niemann-Pick Disease, Type A. She is running 26.2 miles. In honor of a little girl she never got to meet. Mere months after giving birth to her own beautiful little girl. For a friend she hasn't seen in 14 (ack!) years. Returning to a site filled with emotion and sadness, but also strength and grit (have you met any Bostonians??). That, ladies and gentleman, is a hero. And I am so honored to know her. You have not posted in some time Eileen, I hope all is well with your family and your treatments have gone well. I have been checking back hoping to see an update! Hope everything is going ok! Just a few words to say that I'm sending love your way and hope that everything is fine!